Ryan Bocskay—joins us today from Tennis Los Angeles. Ryan is living the life in LA as a network TV executive. He grew up in Detroit, Michigan though, and we’re sure he’s enjoying California’s weather a bit more. Besides tennis, he enjoys running, going to concerts and traveling. He even took a trip to Morocco and played tennis on their clay courts. Hi Ryan, and thanks for joining us. We want to share your thoughts and experiences playing in Tennis Los Angeles a division of the Tennis League Network franchise, and to learn a little more about you. How long have you been playing tennis? What got you started and what has kept you going? Two years ago I started. I was looking for something to do other than running and Crossfit to stay in shape. I missed competition. Randomly, I read Andre Agassi's biography on a flight from NY to LA in May of 2014. I took a lesson a few days later, then gradually got further into the sport. I had never played before in my life. The shame of it is my mom's best friend's husband is a tennis pro. I could have been playing all along. 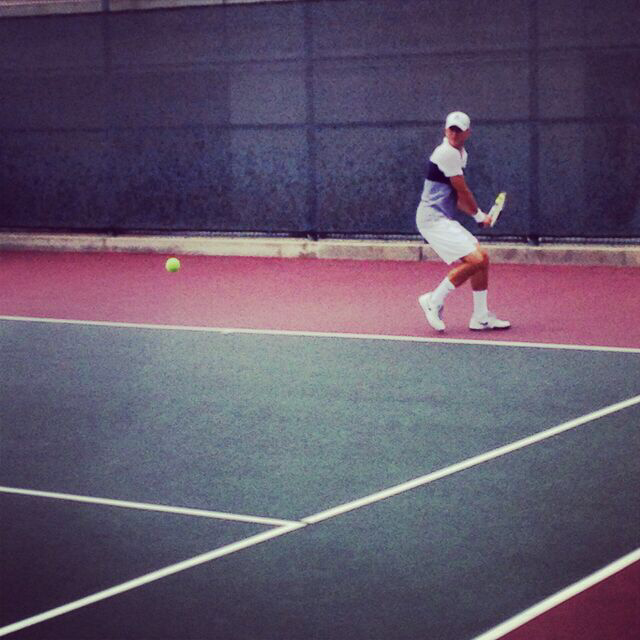 In tennis, I love battling an opponent and myself, and having to learn a variety of shots to be competitive. There is always something to learn and work on! That book must be worth checking out! Which league are you a member of and how long have you been participating in it? Also, how did you end up finding out about us? I’m in the Los Angeles - Downtown/Valley, 3.5 division. I've played in these leagues for 18 months now, starting at 3.0, then 3.25, and now 3.5. While going an amazing 44-62 along the way. I just googled “tennis leagues in Los Angeles” and found the league. It is easy to find these leagues. How often are you playing, in general and with the league? I played 4-5 days a week. Sometimes I'll play 2-3 matches on a Saturday or Sunday. And what do you like about the Tennis League Network? The people. It's fun to meet people to play with outside of the league, or to look forward to playing again and again during the season. Plus, I work a lot, so I leave work at the last possible minute to race to matches. I am usually so panicked about being late that my game is off to start the first set. Now that you’ve played a couple dozen matches in the league, would you consider any of your Tennis Los Angeles opponents rivals? David Goldman. Every match is close. I've only beaten him once, but we go to a third set or tie breaker regularly. I played a match against Bob Perman last Sunday (6/19/16) in 109 degrees heat. It lasted two and a half hours. Physically and mentally, it was a tough match. Before the championship, I had lost every match against my opponent. In fact, I had never won a set against him. I was so nervous that I could barely breath. I was so focused on my breathing that I forgot about my mechanics and the points. Suddenly, I was winning the first set. So I got even more nervous. Then I won the second set, and the championship. We shook hands. I walked to my car, and blared We Are The Champions from Poinsettia Park all the way to Westwood. That’s an exciting way to wrap-up this interview! Thank you again for taking the time to do this interview, and we hope you earn yourself another championship.